Win 2 Free Tickets To The Makeup Show New York 2009! 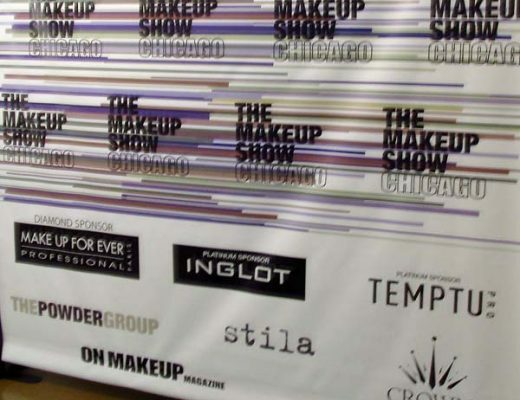 The Makeup Show New York 2009, one of the biggest events for all pros in the beauty industry, will be held next Sunday May 17 & Monday May 18 from 9:00am – 6:00 pm daily at the Metropolitan Pavilion, located at 125 West 18th Street, between 6th and 7th Avenues. There will be over 80 exhibitors from top brands like M·A·C Cosmetics, Make Up For Ever, Smashbox, Stila, Becca, Temptu and more, hands-on workshops, business forums, keynote presentations and rare appearances by Make Up For Ever founder Dany Sanz and Smashbox Cosmetics founder, Davis Factor. Not to mention the insane pro-only discounted prices on products! I attended the Makeup Show LA earlier this year and I had so much fun I am sending two of my lucky readers to attend the NY show for free! To win tickets, leave a comment here with your name and email address. The winners will be announced next Monday, May 11 on the blog and notified via email. Advance tickets for The Makeup Show New YorK 2009 are also available until May 14 at $45 and $70 for 1-day and 2-day passes, respectively, and may be purchased online at themakeupshow.com. At the door tickets are $65 and $85 for 1-day and 2-day passes, respectively. * I am only giving away tickets to the show. If you reside outside of NY, you will need to provide your own transportation to the city. I would love to get the opportunity to attend the event. I’m actually moving to NY next week. It’d be a nice welcome to NYC gift. I wonder if I could attend if I’m not in the beauty industry but just interested in makeup…I hope I could win the ticket! It would be great to experience the chance to attend The Makeup Show with my daughter, now that she is home from college. Thanks for the giveaway. Omg I would die to go to the show! Thanks for doing so many wonderful giveaways!! OMG THIS WOULD MAKE MY YEAR!!! PLEASE sign me up: Tinalig@gmail.com. thank you so much for offering these fun sweepstakes! I would love love love love to go to this show!! Omg, this sounds amazing! My best friend and I would have sooo much fun if we could go!! ps love the website! you should do more looks. Wow! What a great opportunity! I hope I’m lucky! 🙂 I also really love your website, you do a fantastic job! Pick me! I love NYC and makeup! wow this is amazing!! theres already SO many great cosmetic places in the city, but this event def puts it over the top! I’m from Montana. Need I say more? I could use a getaway… It’s May but it’s still freezing.. and there’s never anything quite like this going on in good ‘ol MT! I WANT I WANT I WANT!!! I work in the city and live on Long Island, I’d love to go to this show! I’d love to go, thanks for having this giveaway! Would be awesome to score ticket to see something with my girlfriend. I would be HONORED to go! I really want to get into the cosmetic industry and believe this will give me great insight! I would love to win tickets to this!